Explore deep down under the sea in the new Sea Bounce IV! The Sea Bounce IV Bouncer is now available in two easy to handle size and has a great bounce area! 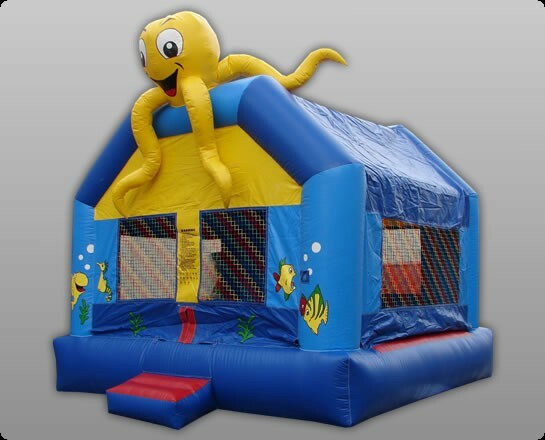 The Sea Bounce IV Bouncer is now available in two easy to handle sizes and has a great bounce area. This is a great unit for your rental business, Church, or just to own with a few friends or neighbors. Made of heavy duty commercial grade 18oz reinforced PVC Tarpulin material. Our KidWise Units are backed with a One Year Warranty against material defects and workmanship. Rated for 6-8 Users and a 600lb capacity. Rated for 6-8 Users and a 800lb capacity. YardWiseUSA.com is an online landscape retail store that is all about your yard. We strive to promote unique products for the yard that both adds curb appeal to your home and is responsible to our enviornment. We guarantee all of our products against Manufacturer defects. Our goal is 100% satisfaction from our customers. We continue to grow thanks to your support and loyalty. Our continually expanding product lines will focus on outdoor items that bring value to you and help to grow your outdoor oasis.